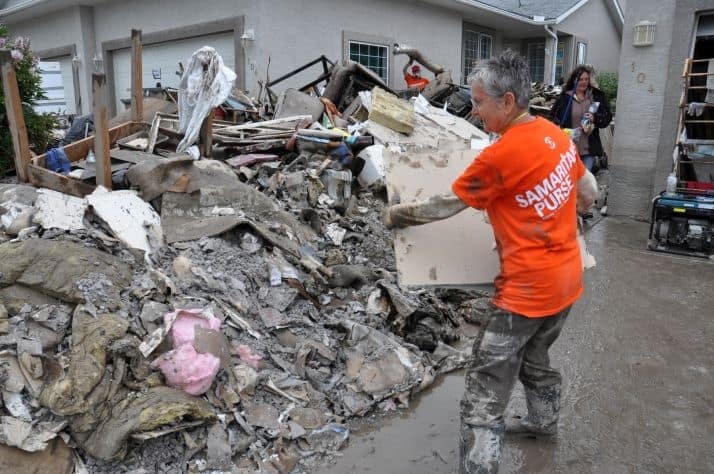 Less than a year after it spent days in Windsor helping flood victims with repairs and recovery, the Christian aid group Samaritan’s Purse has come to the rescue once again. 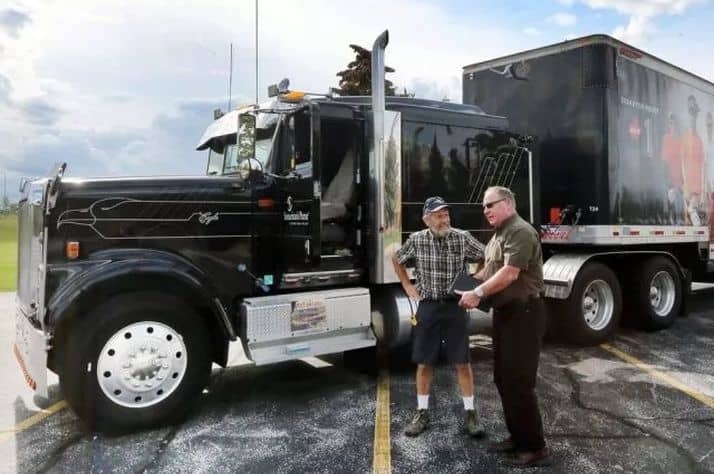 The group has again sent one of its disaster relief units — a tractor-trailer full of tools necessary for the job — back to Windsor and is looking for volunteers to help out. “The more people we have helping, the faster we can bring relief to the people who really need it,” Steve Elliott, central Canada co-ordinator for the group, said shortly after the team pulled into the parking lot of the Parkwood Gospel Temple on Temple Drive, where they will set up shop in the E.C. Row Expressway-Central Avenue area. The group will rely on the local church network but will also work with any community group and organizers are always looking for volunteers and donations at SamaritansPurse.ca/Windsor. Elliott arrived with leadership teams from the Kitchener-Waterloo and Caledonia areas and will be joined on the weekend by more from Vancouver. “We outfit the teams with all the tools and the safety gear they would need to do the job safely, wherever they may be going,” said Elliott.